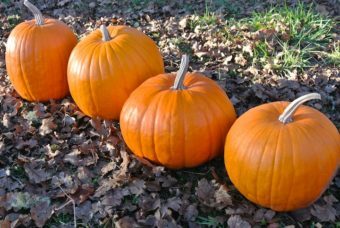 Small, orange, acorn-type fruit are an ideal size for single-serving winter squash. This variety shuns the stereotype of acorn squash being bland. Five times more flavorful than most acorn squash, but about half the size. We think it even rivals some delicatas for flavor. 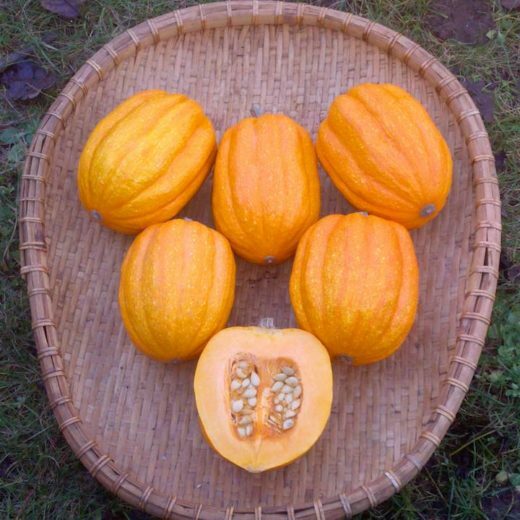 We were impressed with the fruit set per plant – sometimes more than 10 fruit. With moderate fruit size this variety is ideal for those who love winter squash, but only want to cook a small amount at a time. Some larger fruit are big enough for stuffing. We found Gill’s Golden Pippin was best simply cut in half and served roasted as a side dish (though usually one person would eat two halves). Its bright color and deep lobes are very attractive and make good decorations as well. Developed in the mid 20th century by the Gill Brother’s Seed Company of Portland, Oregon. 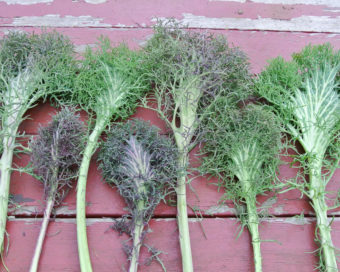 Seed produced by Moondog’s Farm in Mabel, Oregon. Sow indoors in 2” pots with good potting soil May to mid-June. Transplant into the garden 1-2 weeks after sprouting to 2-3’ centers and 6 ft wide rows. May also be direct sown when soil is warm. Squash plants are frost-sensitive and benefit from row cover to protect them from insects and frost while plants are young. To save seed, scoop out seeds when you eat the fruit. Rinse off and dry. Isolate from other squash of the same species by at least ½ mile.